Shelf Road, probably is the most known hiking trail in tow, in fact every time I use this trail I end up in seeing so many of my friends. From Ojai Avenue, head north on Signal Street until it ends. The Length all the way to Gridley Road and back is: 3.5 miles. Difficulty: Easy. An aptly named abandoned road that runs along a shelf above the north side of the Ojai Valley, Shelf Road is encircled by orange and avocado groves as well as wild chaparral. Every bend in the trail presents you with stunning views of the east end of the Ojai Valley. 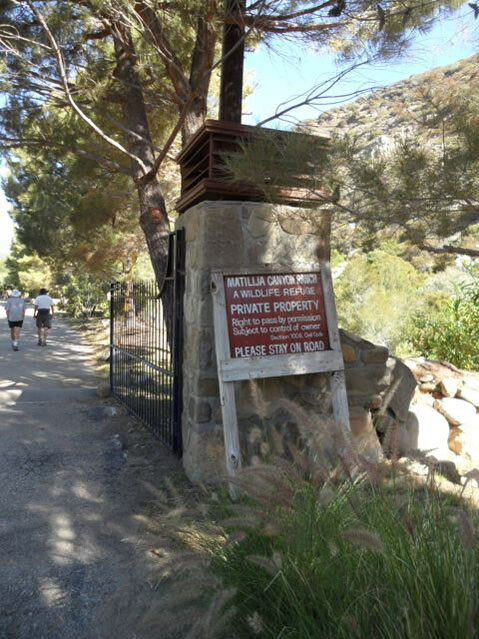 It takes about an hour at a brisk pace to walk the length of the trail and back between the trailheads at either North Signal Street and Gridley Road. 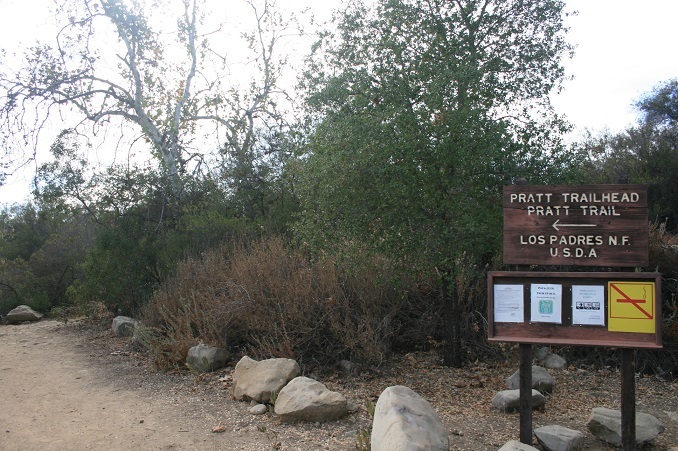 This hike is perfect for visitors or residents to get “ the lay of the land” in Ojai. It is also one of the most “dog-friendly” walks around. Just remember to have your dog on leash. If you have kids between 9 and 10 like me it can be a challenge (for you to keep up with them). Use the same road as you want to go to Shelf Road Trail on Signal Street until you see the Forest Service sign on the left. The trailhead is a further half-mile. Length: 4.4 miles to Nordhoff Ridge. Difficulty: Moderate to Strenuous, but I as I say, probably strenuous for you but not for your kids. The Pratt Trail criss-crosses a seasonal stream through the backyards of private properties before opening onto a natural bowl formed by the slope of Nordhoff Ridge. Follow the signs through about two miles of dry and dusty switchbacks until you reach the ridge line. From there, it’s another two steep, dusty miles to Nordhoff Peak, 4,426 feet above sea level. From Ojai Avenue, turn north onto Gridley Road. Follow it to the gated end, about two miles. Length: Three miles to the Gridley Springs, 6 miles to Nordhoff Peak. Difficulty: Moderate to strenuous. Elevation gain: 1,200 feet to the springs. 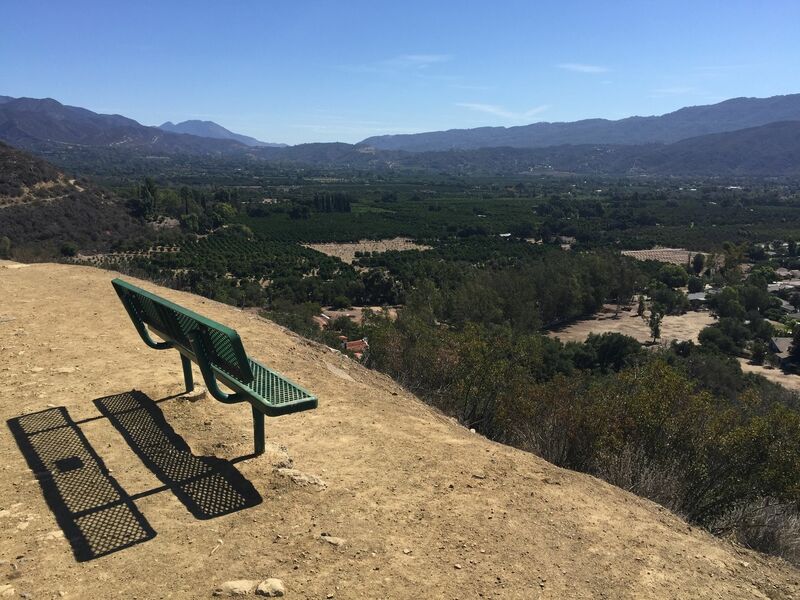 This trail, at the north end of Gridley Road just to the left before the gates to Hermitage Ranch, begins with a steep climb along a seasonal creek before opening on to a bench with spectacular views of the entire Ojai Valley. It follows an orchard road through avocado trees before making a northeastward turn along the rocky western flank of the mountainside. You can often hear the sounds of tumbling water far below in the year round stream. 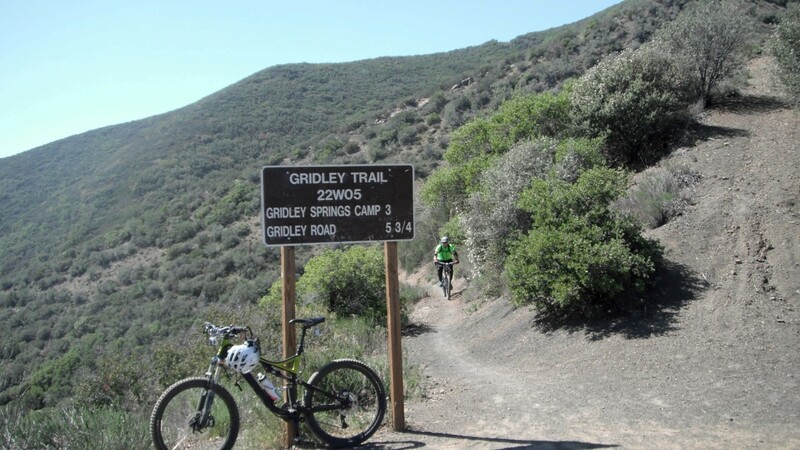 The trail winds along the steep flank of the mountain until it enters the cool, dense side-canyon wherein lies Gridley Springs, with a watering trough for horses and plenty of inviting shade. You can return from here, or continue to the network of trails that reaches its zenith at Nordhoff Peak, 4,426 feet above sea level. 4. VENTURA RIVER BOTTOM TRAILS. From Highway 150, there’s the Old Baldwin Road trailhead just east of the Ventura River bridge. From South Rice Road, there’s a trailhead north of the intersection with Lomita Road. Also from North Rice, take a right on Meyer Road to the Oso Trailhead. Length: Varies. Difficulty: Easy to Moderate. 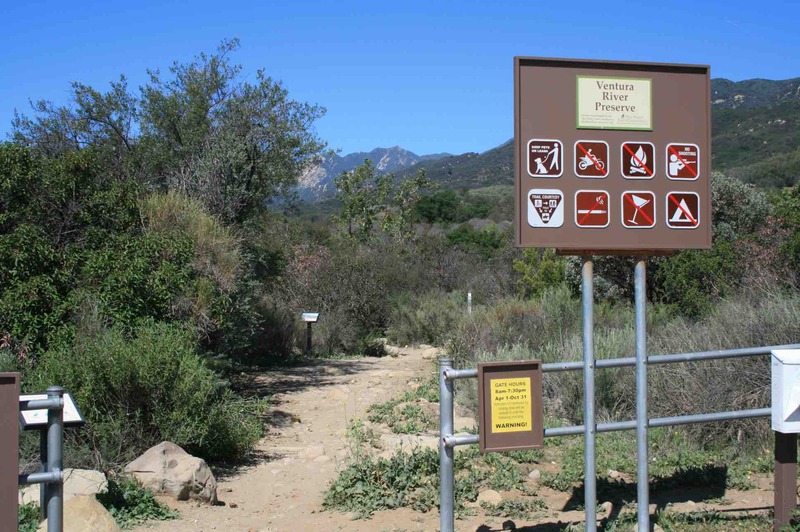 Three trailheads lead you into the Ojai Valley Land Conservancy’s 1,600-acre Ventura River Preserve. This three-mile stretch of the Ventura River offers a spectacular glimpse into old-growth oak canopy, splendid vistas from rocky ridge lines, deep swimming holes, lush fern grottoes, rare wildflowers and miles of trails to choose from. This trail system offers up its wonders especially when on horseback; several trail riding companies offer tours of the preserve property. Also recommended is the loop from the Rice Road trailhead, across the river, up Wills Creek, across the ridge and down Rice Canyon to end up at the Oso Trailhead. Or vice versa. There are only about 1.5 miles of paved road separating the two trailheads, so no complicated car jockeying is necessary. Take McAndrew Road to Thacher School. Park in the gymkhana lot. Length: 2.2 miles to the Pines. Difficulty: Moderate. Elevation Gain: 600 feet. Legend has it that intrepid horseman Howard Bald lugged saddlebags full of water up this trail to nurture a grove of pine trees that he had planted after the big fire of 1948. The trailhead begins at a parking lot, just past a dip. The trail winds past the famous school’s observatory along the west side of a usually year-round stream. After four shady, rock-hopping crossings, the trail begins a sturdy and steep set of switchbacks, with increasing vistas expanding on every turn. The pine grove at the top, with 50-foot-tall trees, seems incongruous amid the sage scrub, yet its whispery needles offer a cool welcome. You can see the Channel Islands, as well as the broad, rolling Tuscany-like vistas of Upper Ojai set against the stunning Topa Topa bluffs. 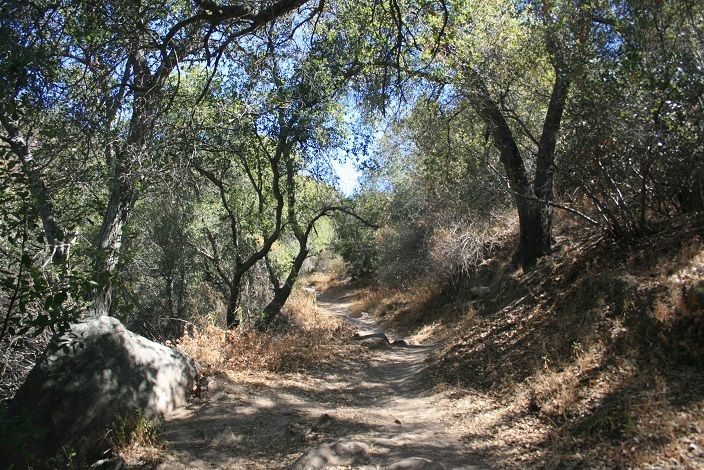 This trail continues to the network of trails and fuel breaks that run the ridge line along the flank of the Ojai Valley. From Ojai, head north on Maricopa Highway (Highway 33) for 3.3 miles. The turnout is on the left, just before and across from Friend’s Ranch packing house.. Cross the street to the trailhead. Length: 1.9 miles to Cozy Dell Creek. Difficulty: Moderate. 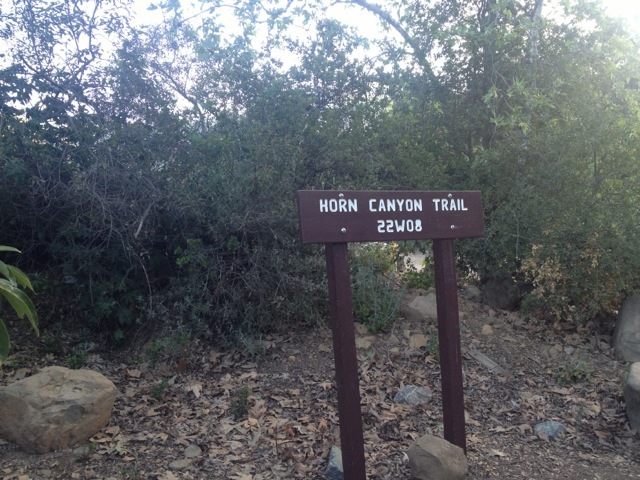 The trail begins along a seasonal creek and quickly climbs about 640 feet in elevation along a well forested and wild-flowered canyon to a ridge line knoll with spectacular views of the Ojai Valley. On a clear day you can see both Anacapa and Santa Cruz in the Channel Islands. You can either return or continue to Cozy Dell Creek, another half-mile to a wooded picnic spot straight out of Central Casting. There the trail continues past the creek to link up to the Ojai’s system of trails and firebreak roads. It’s perfect for an early morning excursion to justify a hearty breakfast. Take Highway 33 to the Rose Valley turnout on the right, about 12 miles from Ojai. Follow the road four miles to the turnout for the campground. Length: .5 miles. Difficulty: Easy. The trail begins at the head of the campground. It is an easy stroll along the beautiful shaded stream to reach the first 30-foot cataract. The trail is perfect for families with small children. Rose Valley Road is also the entry place for several popular backcountry trails, including Sespe River Trail, noted for its trout fishing and swimming holes, and Piedra Blanca, with its striking gorges and beautifully weathered white-rock formations. Take Highway 150 about nine miles from Ojai to upper Ojai. Sisar Canyon Road is just past Summit School, the trailhead at the end of the road, about a further mile. Length: 10.5 miles to the Topa Topa Bluffs. Difficulty: Strenuous. Elevation gain: Nearly 4,000 feet to the top of the bluffs. Only recommended for experienced, well-trained hikers. The first two miles of Sisar Canyon follow the unusually beautiful stream through an enchanting forest of sycamores, bay laurel and enormous oak trees. Both trout and excellent opportunities to swim abound. After that, the trail begins its ascent of the eastern flank of the Topa Topa bluffs. You can also follow the signs to access White Ledge and Ladybug camps from the trail. For serious hikers only, the grueling climb to the top of the bluffs offers world-class views that stretch 360 degrees for hundreds of miles. On any reasonably clear day, you can see beyond Sulphur Mountain to Anacapa, Santa Rosa and San Miguel islands, even Catalina Island. The intrepid summiteer is also welcomed by a bench of native sandstone on which to perch far from the madding crowds. Plan on starting early in the morning. This hike can take a minimum of seven hours for even the best hikers. Directions: Stay on the Highway 150 for approx. 9 miles from downtown Ojai. Sulphur Mountain Road will appear to your right. Follow the road until it ends, another five miles. 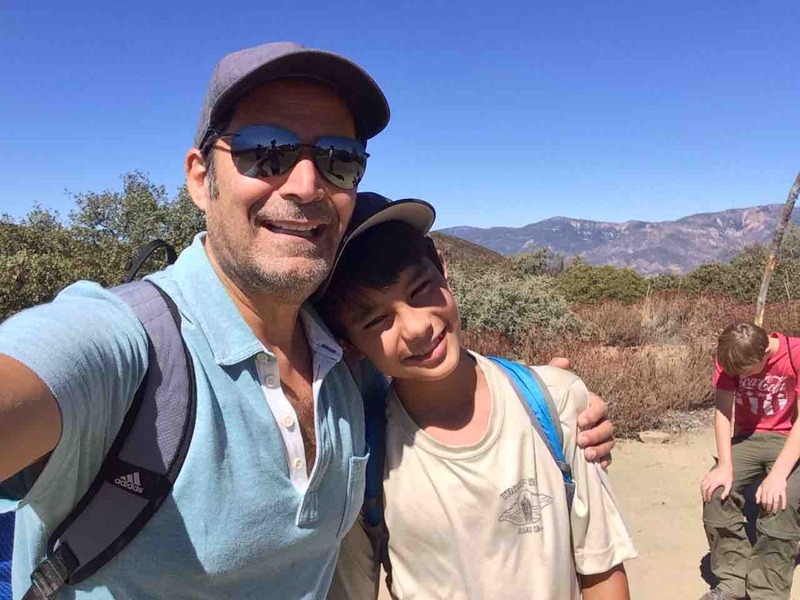 Length: 10 miles from gated access to the Girl Scout Camp near Casitas Springs. Difficulty: Easy to moderate. probably not suggested if you have kids under 6 years old of age. This trail starts at 2,600 feet high at the end of the Sulphur Mountain Road access and follows the winding ridge line trail, down to about 400 feet elevation, making this a very gentle, if long, hike of three to four hours. 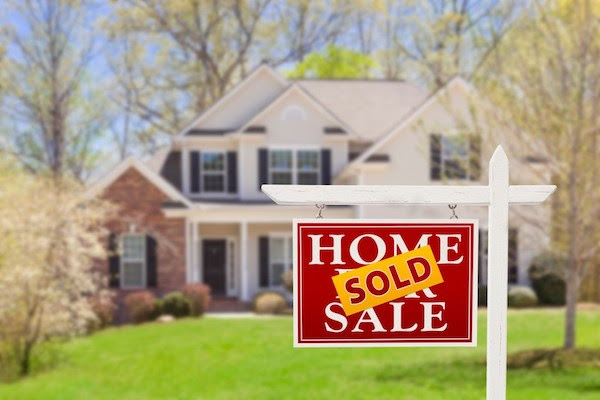 It’s perfect on a sunny spring Fall day, with wide views on both sides of the ridge to Black Mountain’s oak knolled ranch lands, and the rolling green old ranches that give way to Santa Paula, Ventura and Oxnard and the ocean beyond. Just be prepare to see wildflowers and browsing deer as well as bobcats and sometime bear?